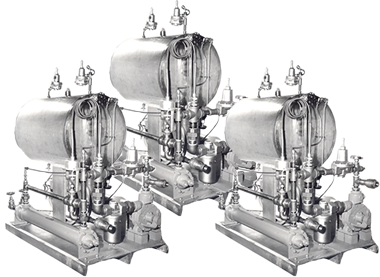 Heat Transfer Solutions | Heat Exchangers | Mechanical Actuators | CH Bull Co.
From individual components like heat exchangers and oil coolers to complete, turnkey packages with everything you need for a high-performance system, C.H. Bull is your #1 source for heat transfer solutions. We don’t just sell heat transfer products and systems—we specialize in sizing our heat transfer solutions to meet the unique requirements of each customer’s application. Starting with a properly-sized heat transfer product is the key to providing the right level of performance for the task at hand. There’s no “one size fits all” product that works for every job, here at C.H Bull we have the capability to perform application reviews of our customers’ processes to ensure that the heat transfer system we provide is the best and most effective solution for your heat transfer challenge. C.H. Bull can also provide custom products that are tailored to your specific application. Almost every product we offer can be customized to provide exactly the performance you need. We’ve been in the heat transfer industry for over 80 years, and our current staff has nearly a century of combined experience. Our competitors may come and go, but C.H. Bull has the experience and expertise to provide service and support for the life of your system—and, if and when the time comes, replacement heat transfer systems for your application. We have files dating back decades that help us supply returning customers with the perfect new products to take the place of their old systems. No one does heat transfer solutions like C.H. Bull. Request a quote today, or contact us to find out what we can do for your unique application.